With the age of the internet and digital media, it seems as though less and less people are reading magazines. However magazines are still fun to read when you are just lounging around and have some free time. I have not actively subscribed to any mags lately, but a relative of mine sometimes gives me his old issues to read. I knew prices for subscriptions were pretty low, so out of curiosity I looked them up. 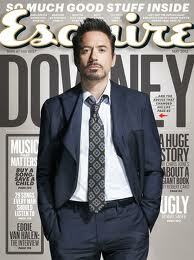 I had this Esquire magazine that was interesting to read. It's like a men's magazine that covers topics men would be interested in. It's a classy, upscale kind of magazine, with some interesting articles and some filler. I looked up the yearly rate and guess what? It is only $8 for 12 issues. This price is incredibly low. To think I could get a year's worth of magazines for about the same price as the breakfast I had at McDonald's the other day seems unimaginable. And I can tell you this, I would enjoy a year's supply of reading material a lot more than that breakfast. So the frugal nerd in me had to break down this cost and rationalize it. At $8 for 12 issues, the cost per issue is about $0.67. Factor in the cost to mail the issue, (I'll say $0.45, the cost of a stamp) and that brings the amount they make on the issue down to $0.22. Now factor in the cost of the printing, paper and ink and it's fair to say they are actually losing money on subscriptions. A quick look at the list of people involved in making the magazine and you will find upwards of 50 to 100 people working for the magazine. They have to get paid somehow right? So I figured they had to be making money some other way and that's when I remembered the advertisements. Of course the magazine has ads and companies pay this magazine to show their ads. Usually I hate ads. On the internet, I block them. On tv, I switch channels or go do something else. But the funny thing is, in this magazine I actually like the ads just as much as the content. The ads in the magazine are like art. You can study the photography, the models used, the choice of text and words get some appreciation out of it. Sometimes they even have fragrance samples. So yeah all of this for $8 a year. It's so reasonable it's almost silly to pass it up. I'm not subscribed yet, but I am definitely considering it. It's fun to get magazines in the mail. It sure beats bills and junk mail.